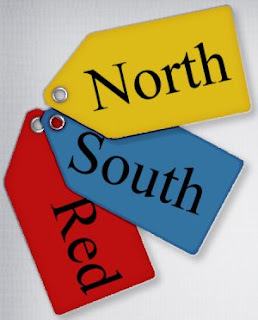 Red tag, blue tag, green tag... what do they mean? They basically represent anything you want them to represent, and I've probably heard a hundred different ways people have chosen to use their tags. The biggest problem in using them, however, is remember what one uses each tag color for! Now, if you check out your Miscellaneous Preferences, you'll find an option to set the tag names to a more useful reminder than the color of the tag. You can label them north, south, east, or west. You can label them DNF, or with the name of the event you plan to find them at. Whatever reminds you of what the purpose of each color tag is. Then, wherever the tag names are provided as options (such as on the Advanced Search page), you'll see the name you gave the tag rather than the color of the tag. Search results that show a box that has been tagged--you'll still see the same little stars as before, but if you hover your mouse cursor over the star, it'll show the name you gave it as a tooltip. On a related note, back on that Advanced Search page, you'll find options to "and" or "or" tags. These only apply if you select more than one tag for your search. Let's say, for instance, you select the blue and red tag colors. You can have the search results return all boxes that have the blue and red tag, or all boxes that have the blue or red tag. It'll default to or, just as it's always been, but you do now have the option of an and search which didn't exist before. I don't use the tags much, but maybe I'll use them now with this added handy-dandy feature. This is more awesome than awesome! Thank you so much! Thank you thank you thank you! I've resorted to keeping a note on my main page, but that means I have to look at my page to find out how I should tag something and then go back to the box and tag it. Your way is so much better! Oh, thank you! You have the "and" and "or" options, which I have been wanting. And then you gave us a way to tag our tags! That is more than I had even thought. I've added a "not" option for searching tags now--so you can return a list of boxes that *don't* have a specific tag on them. Are HTML tags to be found at some future date? YESSSS! This is a great addition. I have quite a jumble of tags because I can never remember what my 'system' is. You've just made using the tags foolproof for me. Thanks for implementing all those ideas you had while on the trail.